When thinking about visiting Pennsylvania, there are a ton of fast paced and exciting places that you can choose from. Perhaps this time you would like to visit a place that has a slower way to life. The perfect place for you would be Wayne County, PA. The visitors to Wayne County adopt a new way of living while being there. They take after the locals who all move at a more relaxed pace. They enjoy life with every moment by taking time for recreational activities. While visiting Wayne County, PA, there are some places that can’t be missed. We at Ledges Hotel have come up with our favorite things to do in Wayne County, PA. The first thing that comes to mind when you think about Wayne County, PA is having fun outdoors. Lake Wallenpaupack and the Upper Delaware River form a border around Wayne County and when the weather is nice, we like to be outside. 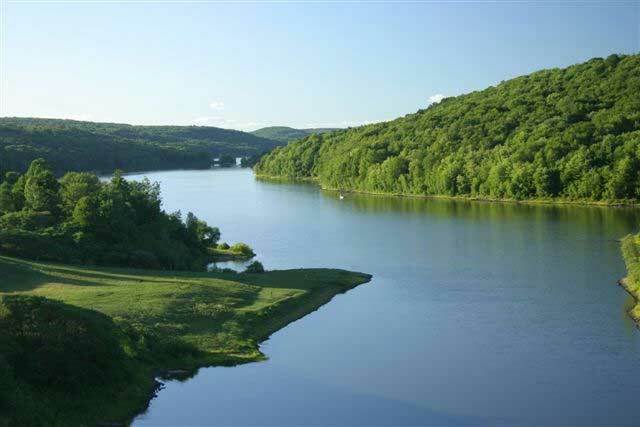 If you enjoy walking, be sure to hit one one of the many trails located in Wayne County, PA. The trails can be rated anywhere from easy to strenuous, short to long, there really is something for everyone. Be sure to do some research before you head out on the trail so you know what you are getting yourself in to. Another way we enjoy the outdoors is by fishing. There is nothing more relaxing and exhilarating than spending part of your day fly fishing in Wayne County, PA. If you are unfamiliar with fly fishing, book a charter for someone to show you the art of dancing your line just right around the water to lure a fish onto your hook. 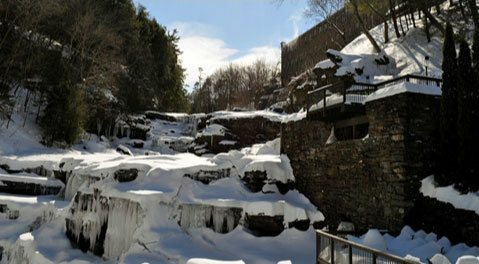 If you prefer to spend some of your time learning about Wayne County, PA, then there are some terrific activities to choose from. Be sure to check out Wayne County’s Historical Society. The county has hundreds of homes as well as other points of historical interests. This would be a fascinating way to spend a day in another time in Wayne County. Another way to spend your day is to visit one of the many wineries located near Wayne County. The first is the Maiolatesi Wine Cellars. They have lots of wines to choose from including dry whites and reds, semi-sweet wines and sweet wines. The Capra Collina Winery is a must see winery in Wayne County. The owners have had generations to perfect their wine making skills and you can benefit from them. They also sell wine kits as well as other supplies to help you make your own wine. While staying in Wayne County, PA, one thing that will be on your mind is where to eat. There are a bunch of amazing options for every kind of eater. The first restaurant on our list is Glass, located in Ledges Hotel. Their belief is that food is meant to be shared to be enjoyed. Pick a few favorites from their extensive menu and share them with your friends while being amazed at their stunning views of the gorge. If you prefer a more filling meal, stay in Hawley and visit the restaurant in The Settlers Inn. 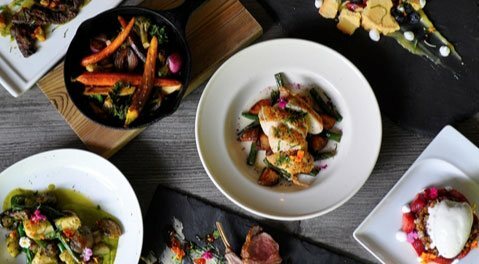 The restaurant is surrounded by a warm atmosphere that is reflected in their rustic, comforting food. As you can see, there is are plenty of ways to spend a day in Wayne County, PA. 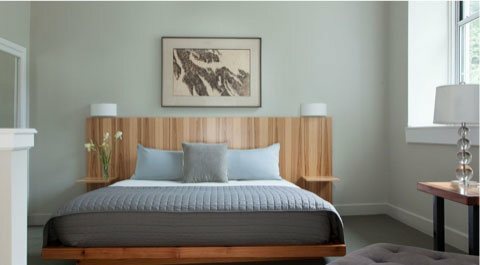 While visiting, consider staying with us at Ledges Hotel. Ledges prides itself on not only the best service to our guests but also preserving the environment of Wayne County around us. 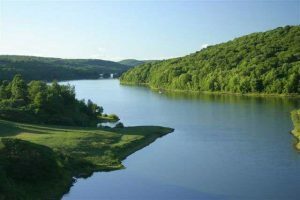 Ledges takes pride in offering low impact water options in it’s room and with each reservation, a portion of it is given to the conservation of the Upper Delaware Region. Contact our friendly staff today to plan your visit to Wayne County, PA.